Mayo, R. Nair, R. Gheith, S. (2016, Sept). 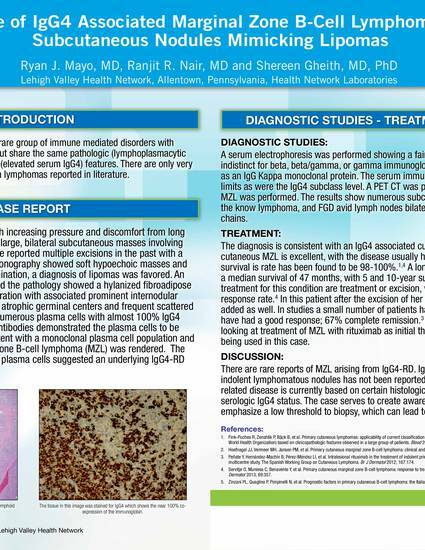 An Unusual Case of IgG4 Associated Marginal Zone B-cell Lymphoma Presenting as Subcutaneous Nodules Mimicking Lipomas. Poster Presented at: POSH, Harrisburg, Pa.